POLITICAL DIVISION: 24 REGIONS AND ONE CONSTITUTIONAL PROVINCE. FLAG: THREE VERTICAL PANELS, TWO RED AND ONE WHITE IN THE MIDDLE WITH THE COAT OF ARMS IN THE CENTER. BORDERING COUNTRIES: ECUADOR AND COLOMBIA TO THE NORTH, BRAZIL AND BOLIVIA TO THE EAST AND CHILE TO THE SOUTH. MAJOR ETHNIC AND LINGUISTIC GROUPS: MESTIZO 37%; INDIGENOUS GROUPS 45%; EUROPEAN DESCENT 15%; AFRICAN DESCENT, ASIAN AND OTHERS 3%. LANGUAGES: SPANISH, QUECHUA (BOTH OFFCIAL) AND AYMARA. LIFE EXPECTANCY (AT BIRTH): 68 YEARS. INFANT MORTALITY (UNDER ONE): 45 PER 1,000 LIVE BIRTH. UNDER FIVE MORTALITY: 58 PER 1,000 LIVE BIRTH. PERCENTAGE POPULATION WITH ACCES TO SAFE DRINKING WATER: 67% TOTAL : URBAN 84%; RURAL 33%. MOST POPULATED CITIES: LIMA, AREQUIPA, TRUJILLO, PIURA, IQUITOS, CHIMBOTE, CUSCO, HUANCAYO, TACNA, PUCALLPA. MAIN RIVERS: AMAZON, UCAYALI, MARAÑON, PUTUMAYO, YARAVI, HUALLAGA, URUBAMBA, MANTARO. TOPOGRAPHY: AN ARID COASTAL STRIP 10 TO 100 MILES WIDE WHERE LIVE THE MAJORITY OF THE POPULATION. THIS AREA REPRESENTS 11% OF THE TERRITORY. THE ANDES (HIGHLAND) TERRITORY REPRESENTS 31% OF THE TOTAL AREA. THE AMAZON BASIN (JUNGLE) OCCUPIES HALF OF THE COUNTRY. CLIMATE: WHARM AND HUMID ALONG THE COAST. COLD BUT DRY IN THE MOUNTAINS (ANDES OR HIGHLAND). HOT AND HUMID WITH HEAVY RAINFALL DURING THE RAINY SEASON IN THE AMAZON PLAIN. With an area of 1.285.215 square km, Peru is the third-largest country in South America after Brazil and Argentina, ranking it amongst the world's 20 largest nations. 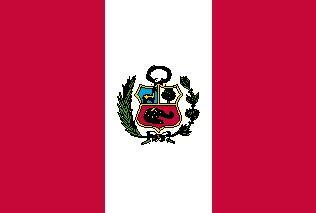 Peru is a democratic republic. The president and members of Congress are elected every five years by universal suffrage. 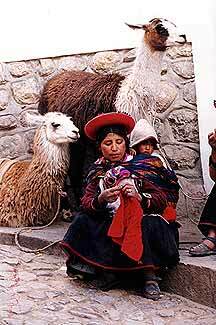 The first settlers reached Peru some 20.000 years ago. They brought stone tools and were hunter-gatherers, living off game and fruit. Some of them settled in Paccaicasa, Ayacucho. The most ancient Peruvian skeletal remains found to date (7.000 BC) show the ancient settlers to have had broad faces, pointed heads and to stand 1.60 meters tall. The early Peruvians left examples of cave paintings at Toquepala (Tacna, 7.600 BC) and houses in Chilca (Lima, 5.800 BC). Over the course of 1.400 years, pre-Inca cultures settled along the Peruvian coast and highlands. The power and influence of some civilizations was to hold sway over large swaths of territory, which during their decline, gave way to minor regional centers. Many of them stood out for their ritual pottery, their ability to adapt and superb management of their natural resources; a vast knowledge from which later the Inca empire was to draw. The Nazca culture (300 AD) were able to tme the coastal desert by bringing water through underground aqueducts. They carved out vast geometric and animal figures on the desert floor, a series of symbols believed to form part of an agricultural calendar which even today baffles researchers. Spain's foothold in the New World was consolidated in the sixteenth century when Viceroy Francisco de Toledo laid down a set of rules whereby to run the colonial economy: the mita system used indigenous labor to operate the mines and produce arts and crafts. These activities, together with a monopoly over trade, formed the basis of the colonial economy. But the changeover in the dynasty and the Borbon reforms in the eighteenth century sparked dissent among many social sectors. The main indigenous uprising was led by Tupac Amaru II, which was to set rolling the Creole movement that led to independence of Hispanic America from the spanish crown in the early nineteenth century. 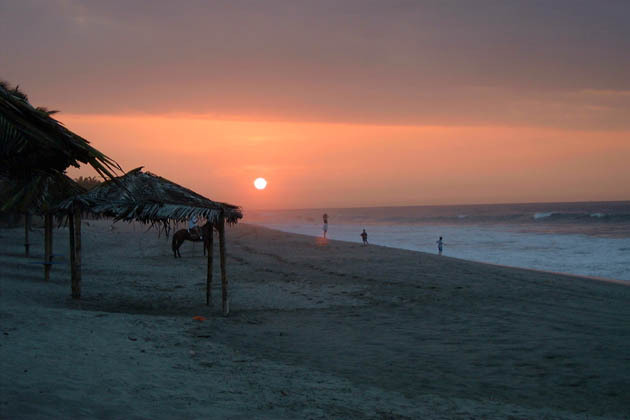 The Peruvian coastline is formed by a long snaking desert hemmed in between the sea and the mountains. The Andes to the east and the cold Humboldt sea current that runs along the coast are what make this area so arid. From the Sechura desert to the Nazca plains and the Atacama desert, the dry coastal terrain is occasionally split by valleys covered by a thick layer of cloud and drizzle in the winter. The humidity in these areas produces a sensation of cold, although temperatures rarely dip below 12°C. During the summer, meanwhile, the sun beats down and temperatures often top 30°C. 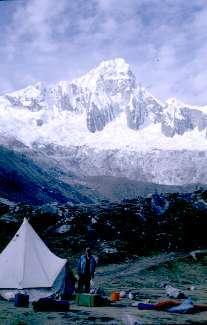 In the Peruvian highlands, there are two well-defined seasons: the dry season (from April to October), marked by sunny days, cold nights and the lack of rain (the ideal time for visiting); and the rainy season (November to March), when there are frequent rain showers (generally more than 1.000 mm). A characteristic of the mountain region is the drop in temperature during the day: temperatures commonly range around 24°C at midday before plunging to -3°C at night. The steep relief of the Andes means temperatures gradually drop in the highest region, known as the puna, the highland plain. The dry and pleasant climate in the highlands makes it possible to grow a wide variety of crops there. The vast Peruvian jungle, which surrounds the wide and winding Amazon river, is divided into two differentiated areas: the cloud forest (above 700 masl), which features a subtropical, balmy climate, with heavy rain showers (around 3.000 mm a year) between November and March, and sunny days from April to October; and the lowland jungle (below 700 masl), where the dry season runs from April to October and is ideal for tourism, with sunshine and high temperatures, often topping 35°C.